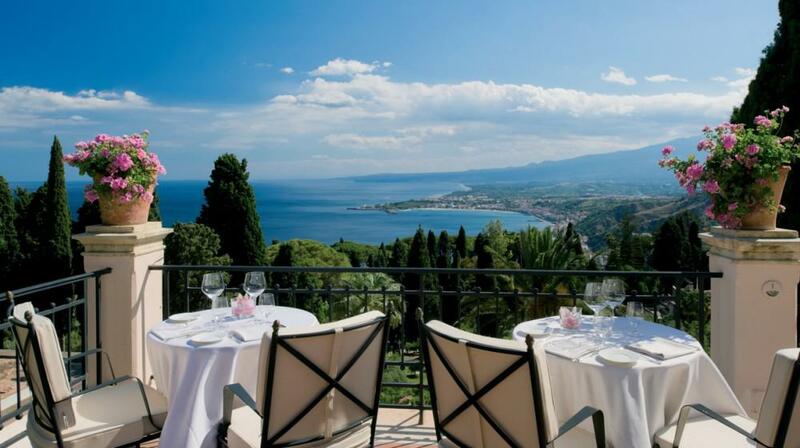 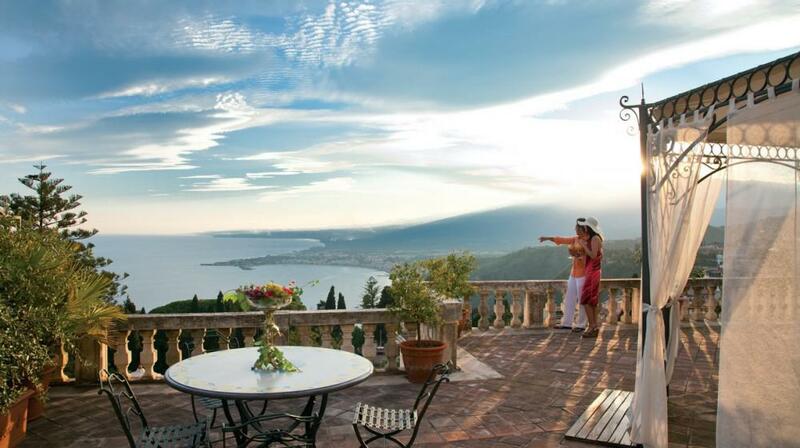 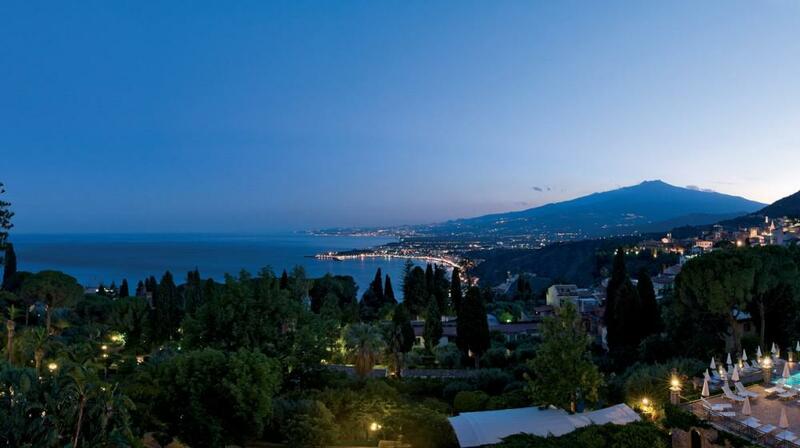 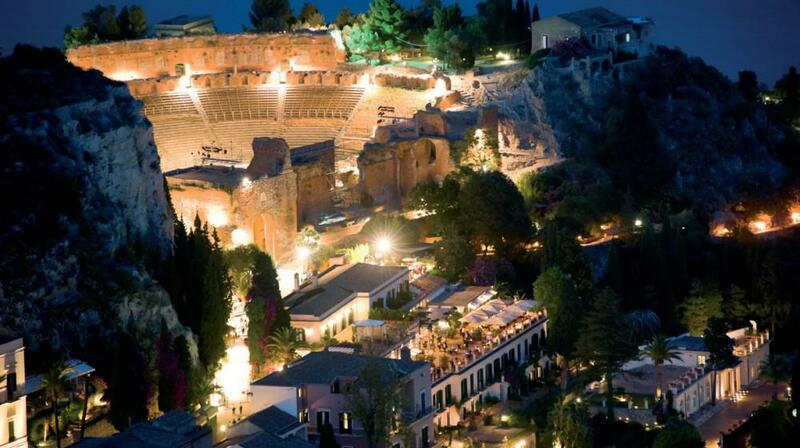 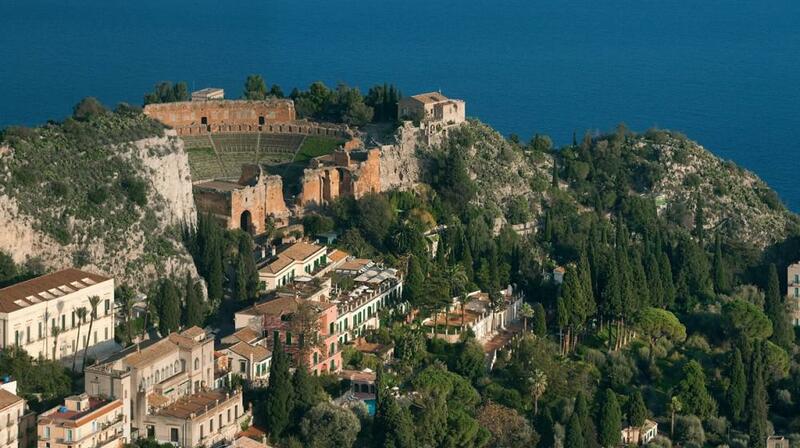 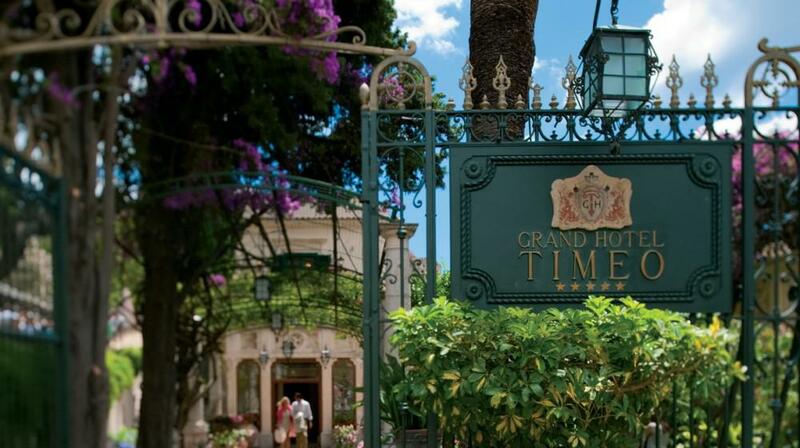 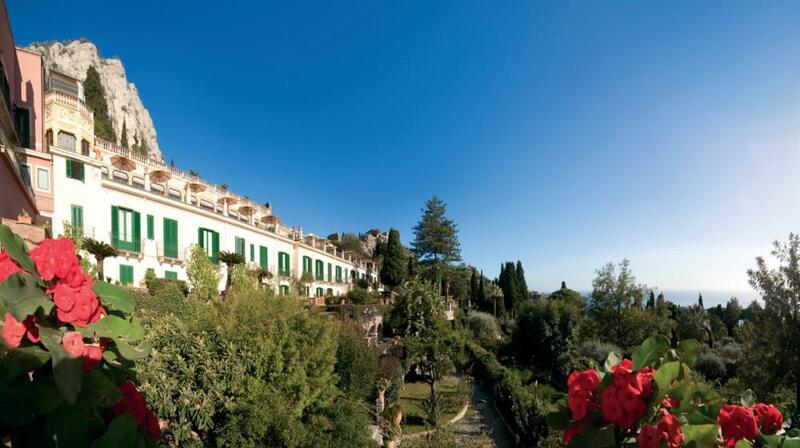 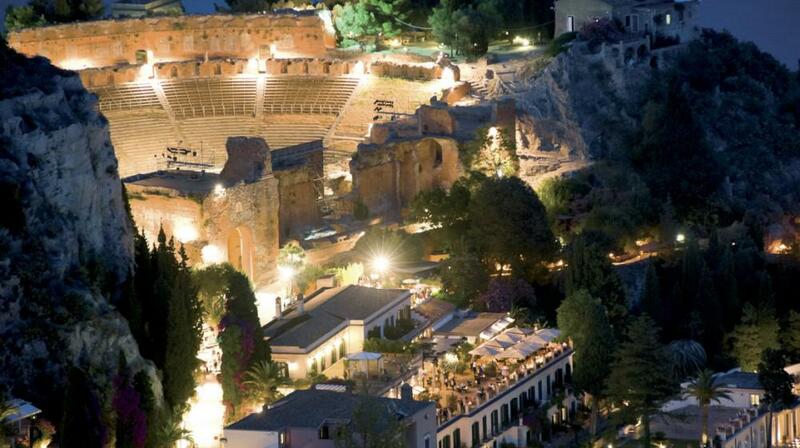 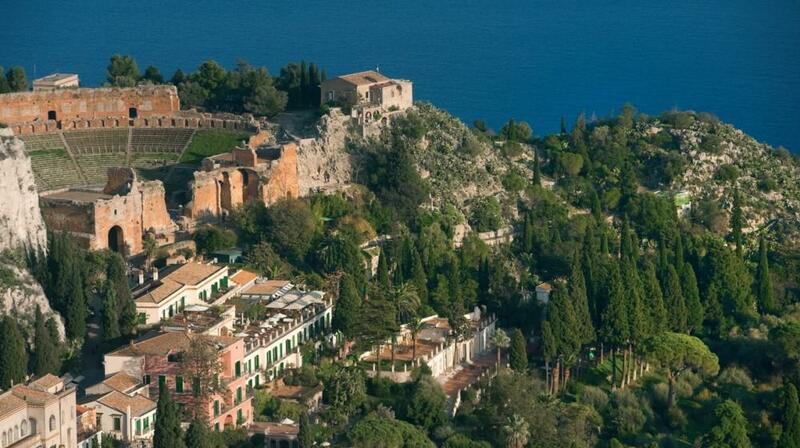 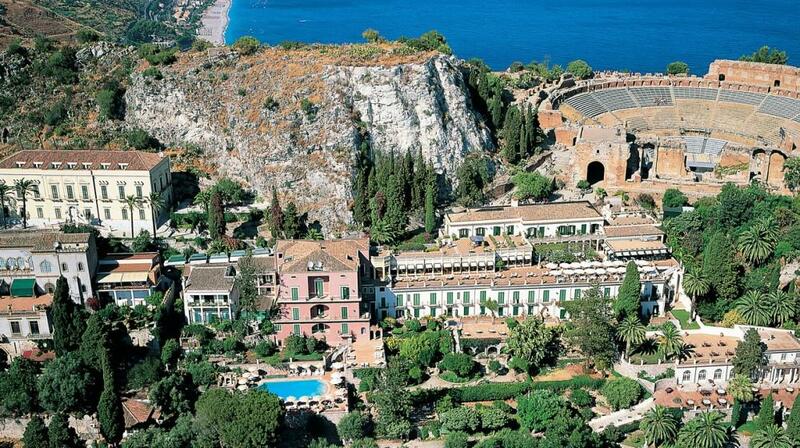 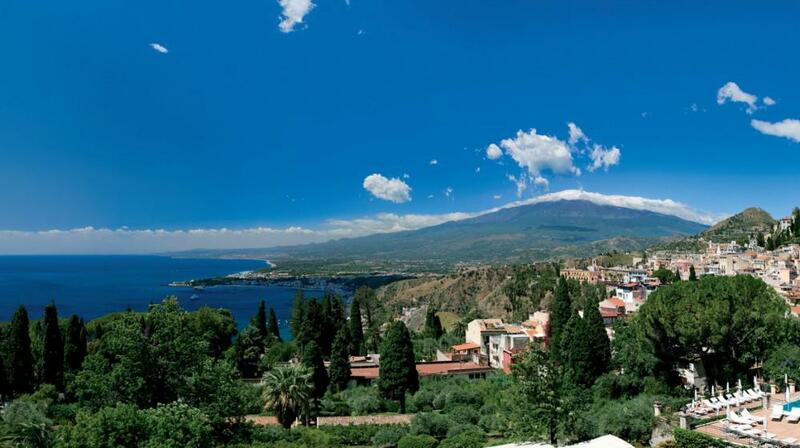 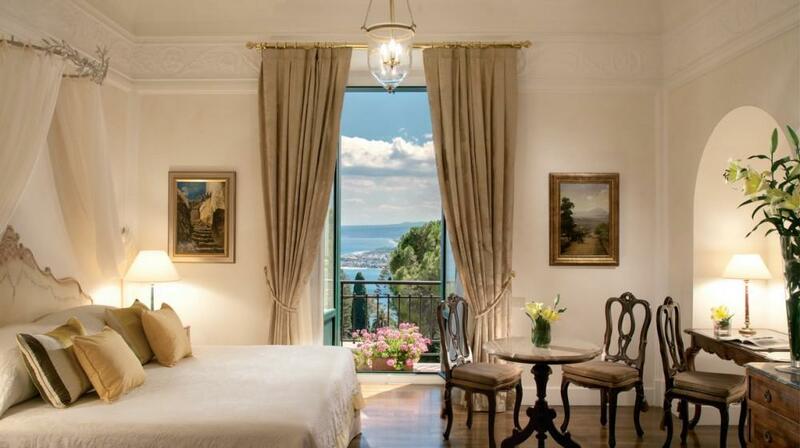 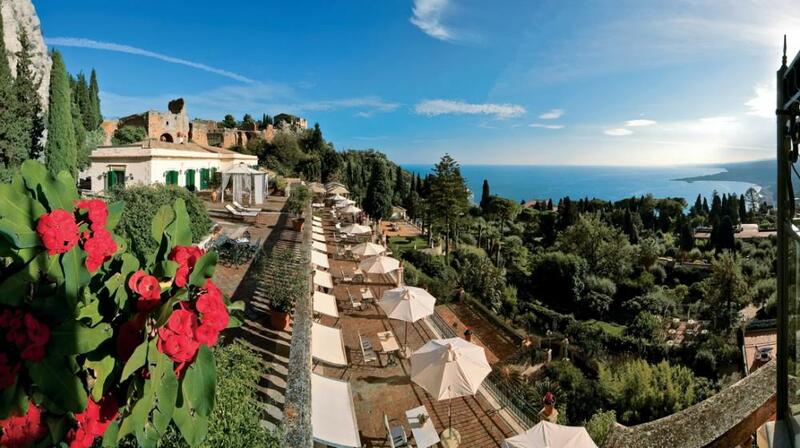 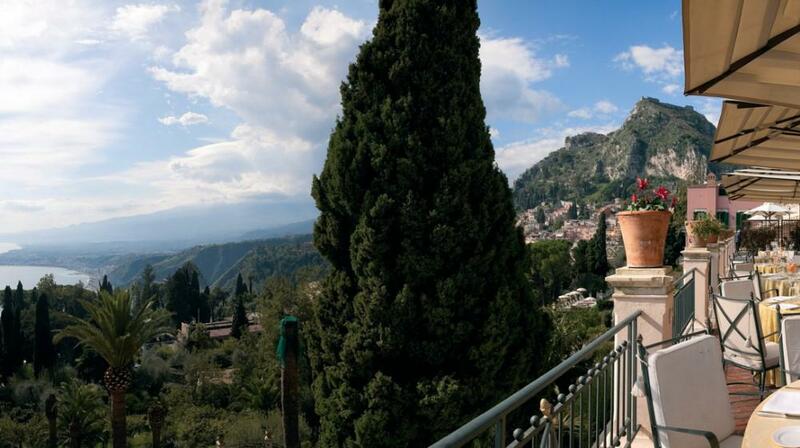 First hotel in Taormina, right next to the Greek-Roman Theatre, the Grand Hotel Timeo dates back to 1873. 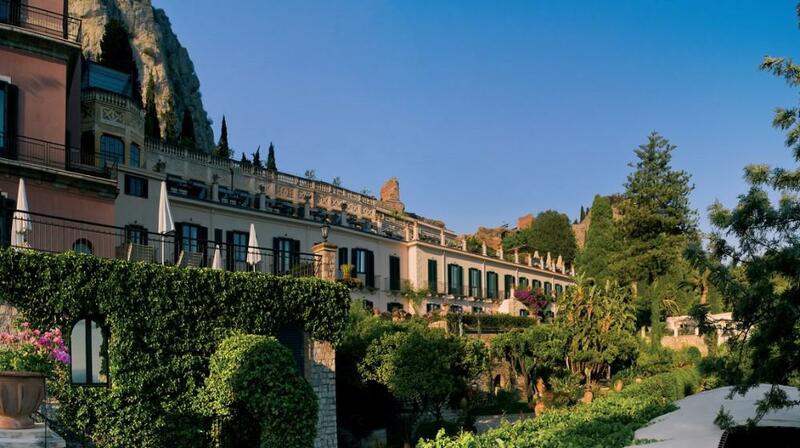 Already, at the end of the 19th century, it became the favourite destination of aristocrats, politicians, writers and artists – a legend was born. 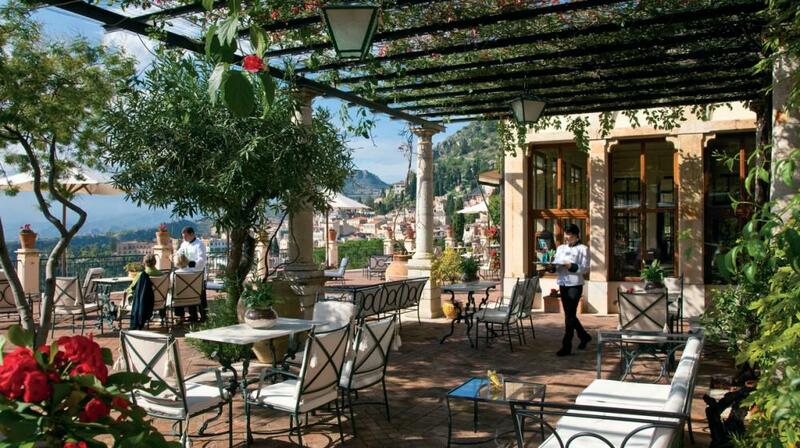 Surrounded by a luxuriant park of 25,000sm, with numerous typical floral species, the historic hotel hosts the celebrated “literary terrace” inside. 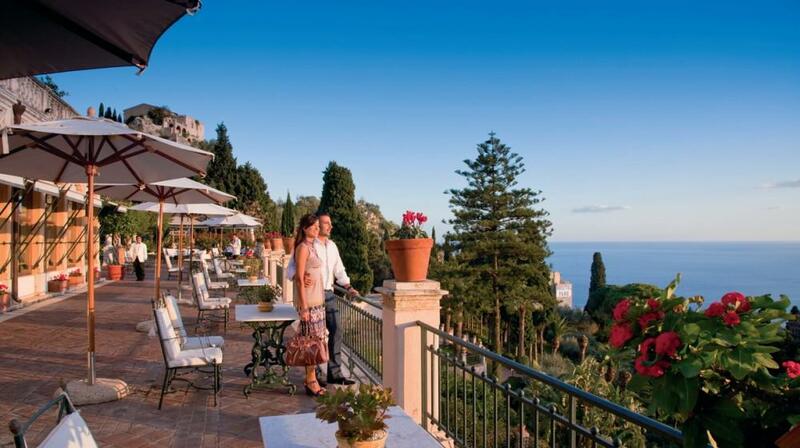 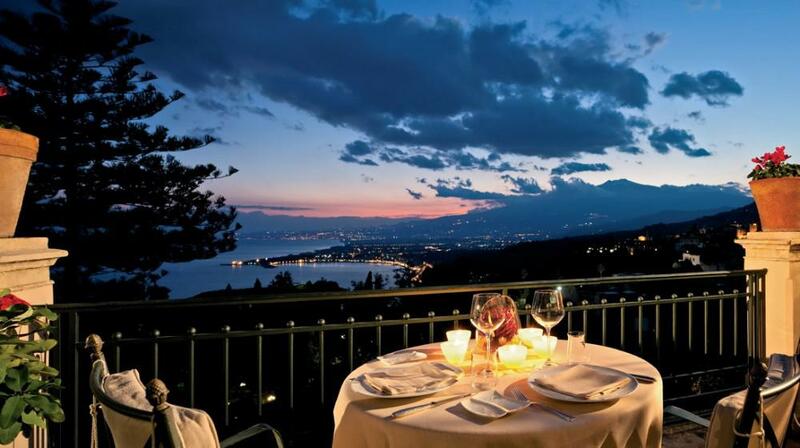 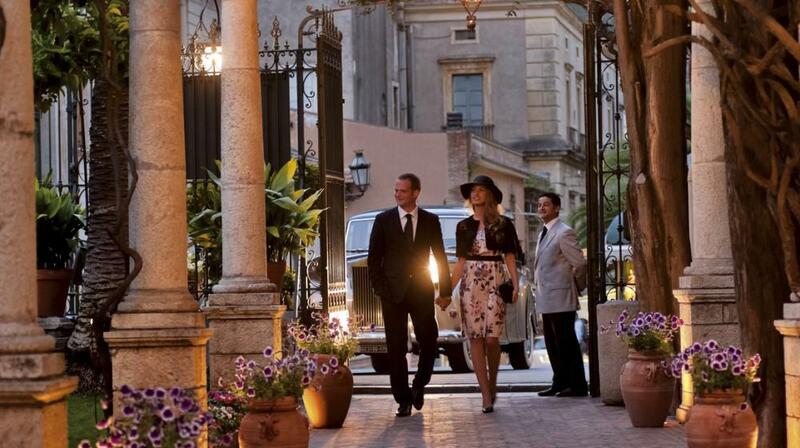 Surrounded by a spectacular panorama, it has always been regarded as a special meeting place for illustrious guests. 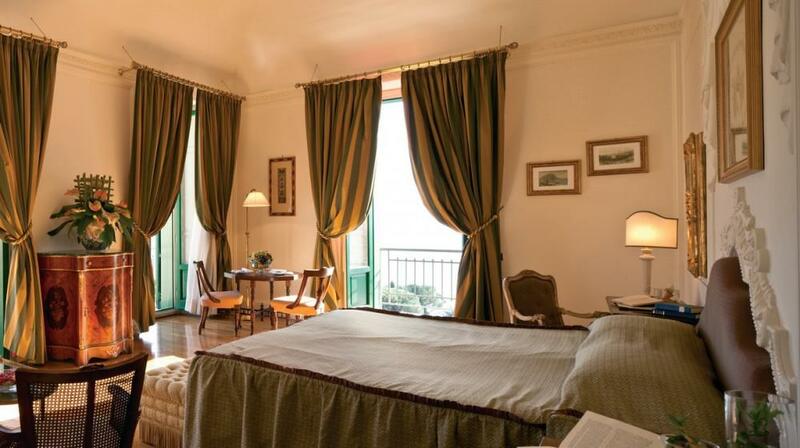 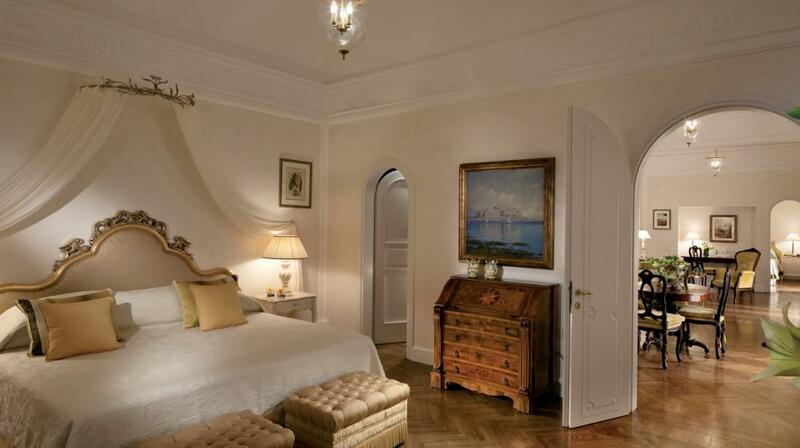 Most of the bedrooms, furnished with high-quality furniture, have panoramic terraces or balconies. 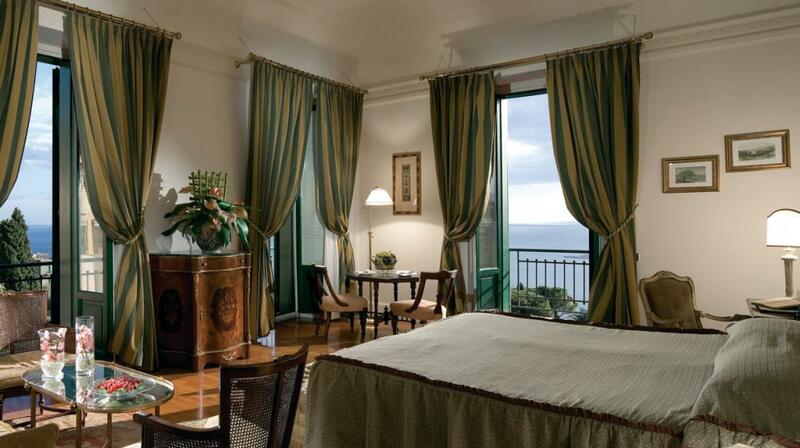 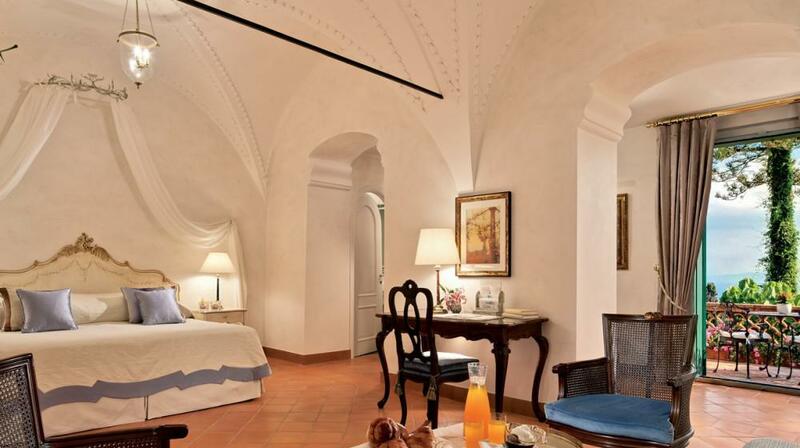 The suites recall to memory the ostentation of Sicilian baroque, among these the Presidential Suite with its elegance and fascination and a terrace of over 220sm, where all the magnificence of aristocratic Sicily of the beginning of the 20th century can be lived. 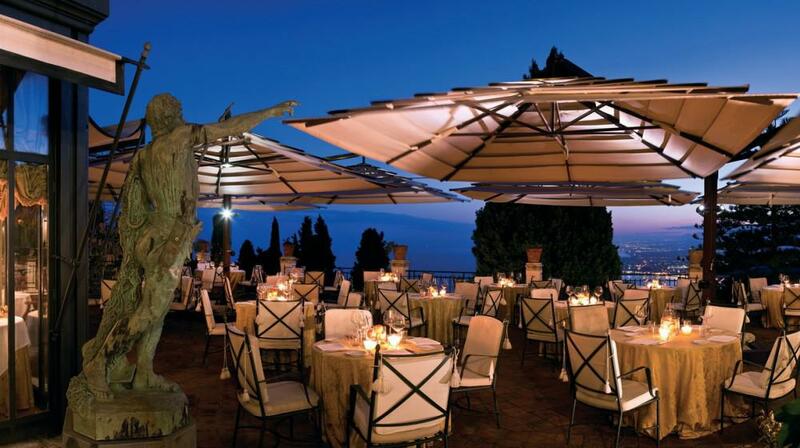 In a magical setting, the Restaurant offers the most refined and genuine Sicilian and Mediterranean gastronomy there is. 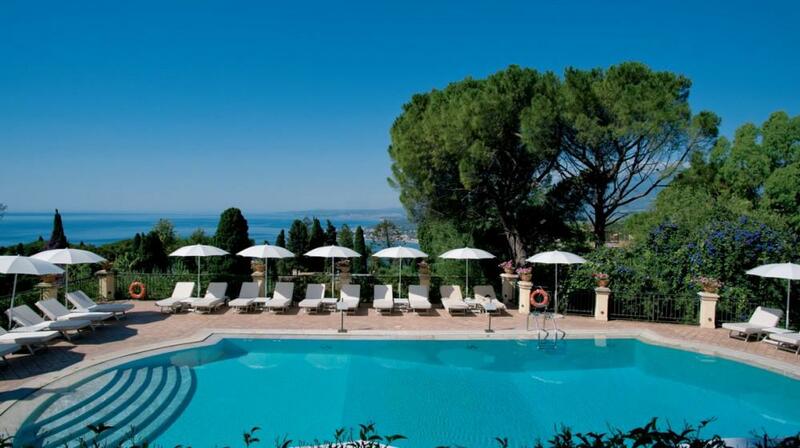 The hotel has a swimming pool, a Wellness Centre, a gym and a large congress centre with multi-function rooms suitable for business meetings, gala dinners, fashion shows etc., with the service and exclusive stamp of quality which characterises this extraordinary luxury hotel. 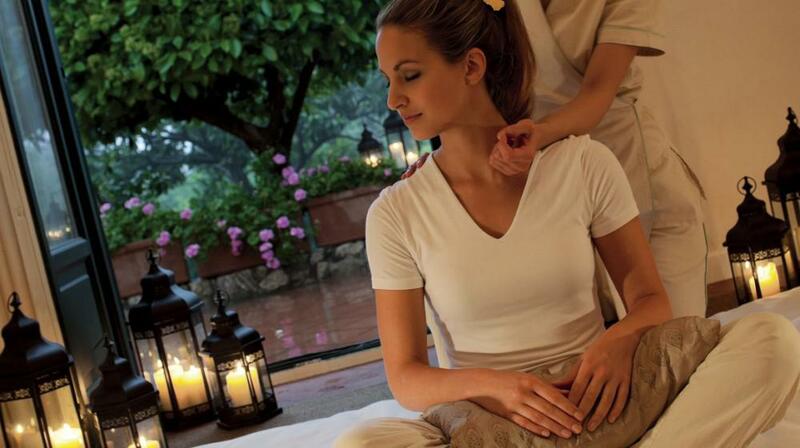 For children, a Kids Club organizing many enticing and fun activities is available. 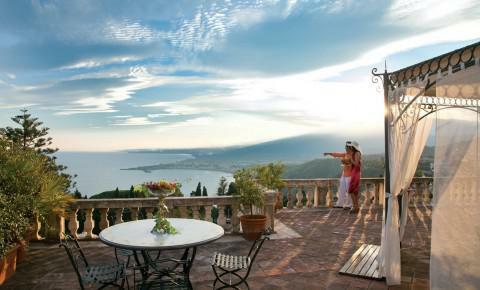 Guests at the Timeo can enjoy the private beach of sister property Villa Sant'Andrea on the Bay of Mazzarò. 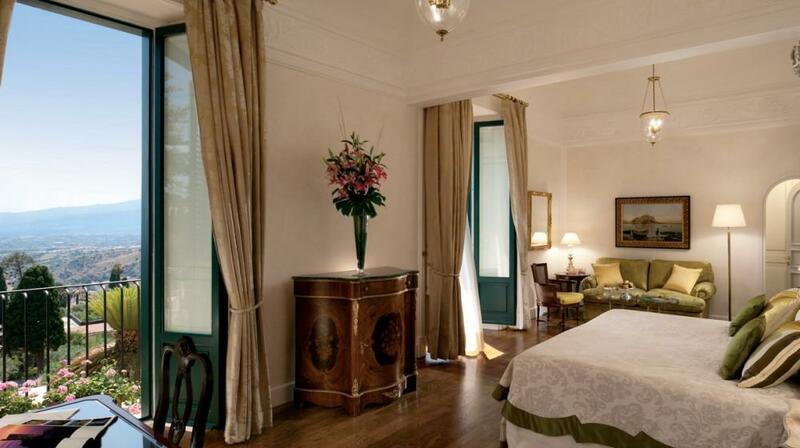 Extra beds Children: All children equal or under 11 years is charged € 115.00 per person per night when using extra beds.